Washington state regulators say they have denied Hydro One Ltd.’s proposed takeover of Avista Corp., citing political interference in the Ontario utility by the Doug Ford government. The Washington Utilities and Transportation Commission says it found the deal, which valued Avista at $6.7 billion, to not be in the public interest after it became clear that the Ontario government was willing to interfere in the utility. “The proposed transaction cannot be said to be consistent with the public interest when it is evident that decisions affecting Hydro One’s and Avista’s business operations and financial integrity are subject to political considerations,” the commission stated in its order. Political considerations may motivate provincial leaders to make decisions and take actions in the future that may cause harm instead of promoting the best interests of Avista, its customers and Hydro One’s non-government shareholders, the order reads. In September 2017, Avista and Hydro One filed a joint application with the commission to approve the companies’ proposed merger agreement. In March, the companies, UTC staff and nine other parties reached a settlement on the proposed merger that would have provided more than $30 million in rate credits to Washington ratepayers over a five-year period, provided more than $11 million toward low-income programs, provided for accelerated depreciation of Colstrip power plants in Montana, and set aside funds for economic transition efforts in Colstrip. The parties also asserted their agreement offered financial protections for Avista customers and insulated Avista from Hydro One’s largest shareholder, the province of Ontario. “Provincial government interference in Hydro One’s affairs, the risk of which has been shown by events to be significant, could result in direct or indirect harm to Avista if it were acquired by Hydro One, as proposed,” the commission stated in Wednesday’s order. “This, in turn, could diminish Avista’s ability to continue providing safe and reliable electrical and natural gas service to its customers in Washington. Avista’s customers would be no better off with this transaction than they would be without it. The Ford government hailed the leadership changes at Hydro One at the time as a “great day” for the province after heavily criticizing the company’s management while on the campaign trail. Hydro One is Ontario’s largest electricity transmission and distribution provider with more than 1.3 million customers. In an brief email statement emailed to CBC News, a spokesperson for Energy Minister Greg Rickford said the government will always stand up for the largest shareholder of Hydro One, the people of Ontario. “We are confident that the renewed leadership and direction at Hydro One will make responsible business decisions that are in the best interest of their shareholders,” Sydney Stonier said. 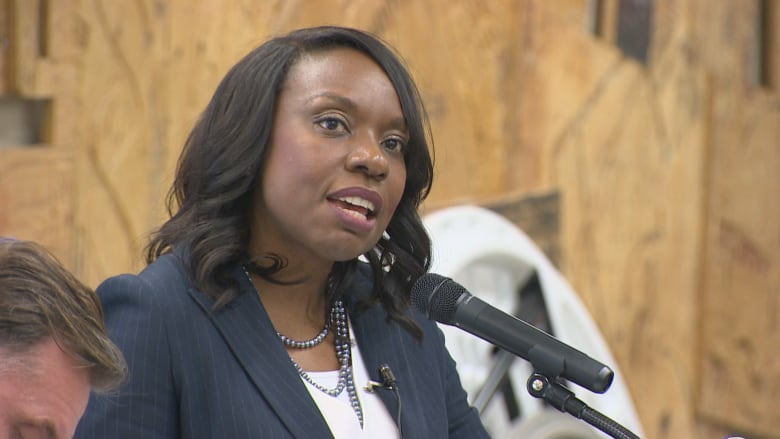 Ontario Liberal finance critic Mitzie Hunter said Ford’s “reckless conduct” at Hydro One continues to damage the province’s interests. “The state of Washington blocked the sale of their utility to protect themselves from Doug Ford’s political interference. The fact that this could even be a factor is a disgrace,” Hunter said. “Doug Ford needs to understand that processes are in place for a reason; vindictiveness and cronyism are no way to run a province,” Hunter said.